Red Aventurine is believed to reduce negative thoughts and to encourage a positive attitude. It is said to be able to diffuse a negative situation and to turn it around, encourage your ability to see possibilities and to enhance your creativity and prosperity. 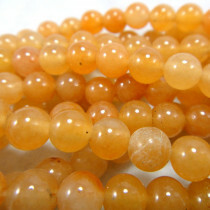 Red Aventurine Round 4mm Gemstone Beads (~100pce Strand) - 40cm/16'" Strand. 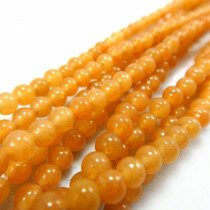 Red Aventurine Round 6mm Gemstone Beads (~66pce Strand) - 40cm/16'" Strand. 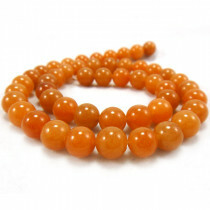 Red Aventurine Round 8mm Gemstone Beads (~50pce Strand) - 40cm/16'" Strand. 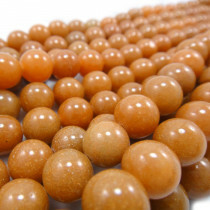 Red Aventurine Round 10mm Gemstone Beads (~40pce Strand) - 40cm/16'" Strand. 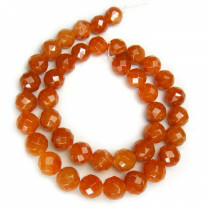 Red Aventurine 12x16mm Faceted Rondelle Gemstone Beads (~33pce Strand) - 40cm/16'" Strand. 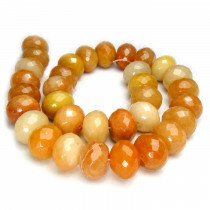 Red Aventurine 10mm Faceted Round Gemstone Beads (~40pce Strand) - 40cm/16'" Strand.